Winter Park’s 4 Rivers Smokehouse is launching a new food truck in the Marketplace at Disney Springs in late August. 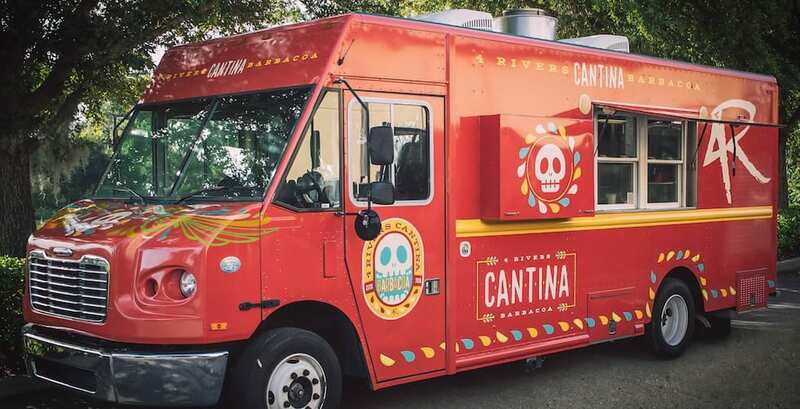 A look at the new 4R Cantina Barbacoa Food Truck, coming to Disney Springs. Located in Winter Park, Fla., 4 Rivers Smokehouse is a family-owned “Barbecue Ministry,” that specializes in 30-day aged Smoked Angus Brisket and sides, along with bold flavors and ingredient combinations in its offerings. 4 Rivers currently has 15 operating locations throughout the state of Florida and recently opened their first location in Atlanta, Ga. The 4R Cantina Barbacoa Food Truck will feature new signature dishes, including a taco cone and burrito bowl, filled with guests’ choice of meats like brisket barbacoa or pork sofrito. The 4R Cantina Barbacoa Food Truck will also offer vegetarian options for guests, like the Squash Blossom Burrito. In addition, desserts like Dulce De Leche Churro Balls will be available. Inspired by his recent adventures in Mexico City, Rivers developed the food truck’s barbacoa-style menu. The dishes will feature signature 4 Rivers meats like pulled pork and brisket, but will be prepared through traditional barbacoa techniques, with roots in the Caribbean and perfected in Mexico. The opening of this new food truck will mark the first time that a 4R location will be available to Disney Springs guests. The 4R Cantina Barbacoa food truck will also be the only 4 Rivers location to offer service seven days a week, including Sunday. Following the standard of the 4R “Barbecue Ministry,” all net proceeds from Sunday sales will support The 4R Foundation, which helps local schools, churches, and charitable organizations. To learn more about 4 Rivers Smokehouse and their offerings throughout the state of Florida, visit 4RSmokehouse.com.